If you are a digital nomad living overseas, you likely enjoy the freedoms of being able to uproot your life and travel on a whim. However, just because you are free to travel the world does not mean that your tax liability will not follow you as well. The United States has a tax system that does not have an issue placing tax liabilities on an individual that lives overseas. That is why it is important to understand your tax obligations as a digital nomad. If you need assistance handling your U.S. taxes as a digital nomad, you should consult with an experienced US tax accountant today. Ted Kleinman, certified public accountant and founder of US Tax Help can help you determine your U.S. tax liability if you are a digital nomad. U.S. tax law is filled with complexities that are easy to overlook if you are not careful, that is why US Tax Help is here to assist you with your taxes. Let our firm handle your taxes while you enjoy the benefits of life as a digital nomad. To schedule a confidential consultation to discuss your tax returns, contact US Tax Help online. A digital nomad is an individual who performs work remotely and that frequently travels to various countries. Many of these workers will use internet from public places like coffee shops and libraries in order to work. Others may utilize wireless signals derived from cell phones and other devices. This allows digital nomads to work practically anywhere in the world. It is important to choose a profession that will allow you to earn enough money while you travel abroad. To learn more about living as a digital nomad, you should speak with an experienced tax accountant. If you are living abroad as a digital nomad, you may still be required to pay U.S. taxes. If you wish to avoid filing U.S. taxes as a digital nomad, you will have to renounce your citizenship or green card. This is not an act that should be performed without serious consideration. Fortunately, you have some options when filing taxes as a digital nomad. Despite living or traveling in a different country, you must still pay U.S. taxes on your worldwide income. However, there are some exclusions that can be used as a digital nomad. For example, many nomads qualify for the Foreign Earned Income Exclusion (FEIE). This exclusion allows digital nomads to make about $100,000 per year without having to pay U.S. income tax. 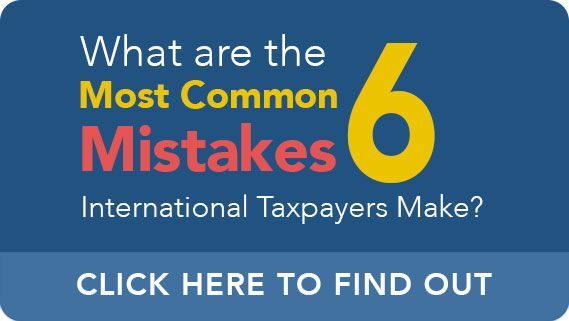 Additionally, if you are paying taxes in a country that you are a resident of, you may be able to use those taxes to offset some of your U.S. tax liability. FEIE does not apply to unearned income like interest, pensions, social security payments, and capital gains. Unfortunately, many digital nomads do not qualify for the bona fide presence test due to constantly traveling. However, most nomads will qualify for the physical presence test. If you need assistance in dealing with your tax liability as a digital nomad, you should contact an experienced US tax return accountant. At US Tax Help, we are dedicated to providing you with the tax service that you deserve. CPA Ted Kleinman has over 30 years of experience handling a variety of US and foreign tax issues and he is prepared to help you handle your tax situation. To schedule a confidential consultation, contact US Tax Help online.